How little do you need to retire? The question “how much do you need to retire?” is pretty much standard. Conversely, “how little do you need to retire?” is extremely rare. Just consider, for a moment, the difference in perspective required to ask that question. Many simply don’t get it. Perhaps it is no wonder when living in a society that always strives for more, more, more. 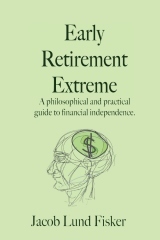 Yet, it saddens me to see fellow early retirees or wannabe early retirees, who are getting inspired to retire before they reach 40 and actually did ask the question in the right way, only to get shot down with arguments from experts that everybody needs one, two or sometimes three million dollars before it is safe to retire. If you don’t have, say, three million dollars, you will never be able to pay for all your retirement needs, they say. Yeah, like if you’re not driving a Hummer H1 you won’t be able to safely drive down to Wallyworld to buy a box of twinkies. Just imagine how discouraging this general attitude is? Please consider for a moment the wide range of people’s supposed needs. You have pop stars that are going broke despite earnings millions because they can’t afford their indoor zoos and then you have plumbers (mostly named Joe) that earn normal wages (the average wage for a plumber is around 40k) and yet manage to accumulate large sums of money. This tells me that financial independence and hence retirement can be done on incomes ranging anywhere from $10000 a year to $1,000,000 or more a year. Early retirement, therefore, is just a choice of where you want to be on this scale and how much you are willing to give up to get there. Once you have chosen your income level, you then choose your savings rate and that determines how soon you can retire. Early retirement is a combination low expense levels and high savings rates, e.g. $10,000 and 80% .. Late retirement is a combination of high expense levels and low savings rates e.g. $40,000 and 20%. Some people say they need $50,000 a year in retirement. No! They want $50,000 a year and therefore they need one million(*) — notice the difference between want and need — and since many of them are not making substantially more than $50,000 a year they therefore need to work most of their life so that they can enjoy a $50k/year income. This is their choice. It is not everybody’s choice and it is not the only choice. (*) Using what you learned in finance 101, you can use exponential functions to translate this amount into future dollars for more sensational numbers. Many pf bloggers do this exciting exercise once a week as a free public service 😛 . There are also a few of us, who choose to live on much less in return for the time that would otherwise be spent on accumulating money and spend our life-energy doing things that are more meaningful to us than spending money. We want more time and we willing to spend less in order to work less. Consequently, we need less in retirement savings, even less than a million. Actually quite a bit less. And thus we can accumulate it fast. Quite fast, actually. It’s a choice. How little do you need? Simple, how little do you want? 44 users responded in " How little do you need to retire? " I had a friend who worked with me and said that he would need more in retirement than he was earning. At the time, 15 years ago, he was earning 75,000 a year. He said he planned to do more things and that would take more money! So there you are, it’s often about personal wants. Great post! That’s the first time I see such a target, usually it’s the same or slightly less. Doing things rarely costs as much as having things unless we’re talking about having other people do the things for us. Exactly! I am going to “retire” 12/16/08 – the day before an important b-day – on an quantity that might frighten others – but to me represents an amount rich in time. I can always pick up an odd job wherever – but do not want to make over $15,0000/year for obvious reasons 🙂 – this plan took about a year to develop – proving Jacob again is right on the money literally & figuratively. Who knows, maybe I will even get a blog started on 12/17. Very nice post. I crunch and re-crunch my numbers all the time to get a lower bottom line. Since switching my thinking to how little do I need to retire I realize I’m much closer to retirement than I thought. Before I thought my current retirement savings were nothing compared to what I needed to save. But based on a more minimal retirement need I’m already 1/12 of the way towards having enough money to retire. I look at it as having January covered and I just need to add the rest of the months now. This is an excellent post. But you still have a full-time job, right? How can you call your blog “Early Retirement Extreme” if you’re still on someone’s payroll as a full-time employee? I think you’ve partially answered this question before, but never thoroughly enough to satisfy my curiosity. You’re absolutely on point. It’s interesting how the “mainstream” financial advice has convinced 98% of the populace that one needs millions to retire and noone (except for you) questions those assumptions. Then again if you incentivize someone with pay based on Assets Under Management, it makes sense that they’ll ask you to take the longest road out there. It’s great to hear that I don’t need one million to retire, since I’ll never accumulate that amount of money. I earn little but I’ve been able to save 50% of what I earn for the last ten years. I’m 40 y. o. now. If I spend about 18,000 a year, and I have 250,000, can I retire RIGHT NOW? I have no debts whatsoever. My money is invested 20% in stock (which obviously I don’t plan to go near now), and 80% in more conservative funds that earn a 10% annual interest. It’s not that I won’t have any kind of income if I retire. I’ll still manage to get about 5,000 a year, even working very little (just writing, for instance). I don’t know… I don’t even plan to stop working. I just want to know that, if I didn’t need to work another day in my life, I could still get by with the money I saved. Thanks for your time! As soon as I time allows, I’ll write a couple of posts recommending your very inspiring blog to my Brazilian readers. @Lola – The “safe” withdrawal rate for a 100% stock portfolio is 4% which historically has made a portfolio last 30 years. At 250k, that would correspond to 10k a year. With some diligence it should be possible to find stocks that increase their dividends and pay 4% or more (that’s my strategy) and make it last longer. I live on $900 per month, so I don’t see why anyone “needs” more than that to live on. I’ve been reading your posts and see that you’re missing one key part of life in your planning: the endgame. It is for this period of life that you can easily need $30k/yr or $50k/yr for a decade and if you don’t have it, then “game over”. The $30k/yr figure gets you meals and a bed when you can no longer walk to the store for groceries and cook/clean for yourself. Most folks hit this stage between age 75 and age 85. The $50k/yr figure gets you meals, a bed, medications, and medical observation. Most folks hit this stage between age 80 and age 90. There might be mitigating factors that can reduce these figures. Adult children often sacrifice their time to make such arrangements work, but for those of us without children now, well… stocking up the savings bank is the only reliable option. My father reached the first stage when he was age 72 and the second stage when he was age 79, which he only spent a couple years in before passing away. Dad didn’t work at bettering his health and it really robbed him of enjoying his retirement. His retirement income was sufficient to see him through, but if he had lived a couple years more, it would have been tight. My mother reached the first stage when she was age 84 and the second stage at age 86. She is likely to spend many years in this more expensive stage as she took good care of herself and definitely enjoyed her retirement until entering these final stages. There is a chance that she just might outlive her assets. I was the baby in the family, so, if a conventional retirement is followed, have many years to go. Early retirement is a definite possibility, but I also must consider my spouse’s wishes concerning our lifestyle. @George – You make a good point. From my current perspective of life, I prefer the “game over” scenario. In that regard, I sometimes joke about a final cruise to shark infested waters. Being more dead than alive is not appealing to me, but of course I can not say how hard I’m willing to cling to life once it’s slipping. If nothing else, drawing down capital directly should provide a handful of years. Another alternative is “simply” to move to a country where such care does not cost a fortune. I’ve been going back and reading up on some of these older posts and had to comment on this one and the stages mentioned in the replies. I don’t know how long I’m going to live, but my Grandmother just turned 94 and she has yet to hit that “first stage”. She still lives alone in her house and has started giving checks to her grandchildren every quarter. She says her bank account is getting bigger as she gets older and wants to give some away before she died. We all check in on her regularly and drive her around when she wants to go somewhere, but she still walks down the street with her grocery cart to do her own shopping. This is a woman who knows about frugality, she was a teacher who raised 4 children alone after her husband left. While I was growing up (and she was retired) she traveled regularly and visited 6 continents. I can only hope to be as lucky at her age and can hear her voice scolding me in my head when I want to waste money on something frivolous. I agree with the perspective that values quality of life in stage 0 and 1 more than providing for the option of prolongation of the stage 2. But what are we talking about here? Euthanasia, it would seem. Is that okay or not? Or more to the point, will society go in that direction over the next few decades and when I get to stage 2 then it would be okay. If only we knew exactly how long we’d live, and in what health we’d be while doing it. Wouldn’t that simplify our planning? My dad and grandfathers passed away at 56, 67 and 71; my grandmothers and greatgrandmother at 93, 95 and 99. If I take the simple view that as a woman (46) in this family, I can expect another 40-50 years I need to plan a completely different future than if I assume I’ll take after the male side of the gene pool and have only 10years left like my father. I regularly argue with myself about living for the moment and taking a big trip with the kids and not putting off everything for retirement. I’d never buy an expensive “thing” over saving for retirement because things just aren’t that interesting to me. It’s the experiences I could have now vs later that I struggle with. Who really cares about the end game? If you are that old and sick etc you should get right to die, and by the time I am that age, more states and countries should have it besides my home state of Oregon. Of course, that is only for TERMINALLY ill patients I believe, not just “stricken with old peoples maladies” like Glaucoma, Athritis etc. I usually prescribe to enjoy the now because I could get hit by a bus tomorrow philosophy. True, if you DON’T get hit by a bus you may end up hurting a bit, but at least you don’t sock away everything just for something in 30 years like most folks. I had to add too, I think it’s very sad that when a lot of people get to retirement age so they can start collecting Social Security+whatever else they have, they are often so PHYSICALLY/MENTALLY gone that they can’t enjoy it how THEY wanted, even if they had a lot of money. I.E. Traveling is a big one, you can’t hike the miles long Johm Muir trail when you are 70, unless you are a physical phenom like the Juice Man JACK LELANE! A technical question here. Let’s say you make $100,000 a year and save $50,000 cash a year. Does that mean you are saving 50% of your gross a year? Or, are you saving close to 70% of your gross since 100K is only 70K after tax. Or, for the 70%, can one say they are saving 70% of their net income? Just want to get the semantics straight. I would use the savings/gross method. It then focuses on setting the % savings as your first priority. Indeed if you decide to save in a 401k vs mutual funds, your tax rate may change so why be confused with figuring “net” when net will always change (do you include state tax? soc sec? medicare? What if you over withhold and get a tax refund? What about after you max soc sec?). It also makes it easier when you get an incremental piece of income/gift to apply your set (gross) rate of savings against this and feel good/disciplined about it. I agree with Jacob on using the net income (and not the gross income) when computing for the savings rate. The money that went to taxes is money that never even reached my hand. Therefore, I never even had the opportunity to save that money. The guy talked about stages makes a good point. People who blithely talk about not being worried about old age are just completely clueless. First if that is their attitude now then it’s not going to change much when they’re 80. In other words they’re going to want to enjoy life just as much then as now. I’ve seen it. My father at age 80 was as spry as someone at 60 and then boom he got hit with billiary duct cancer and within six months he was dead. The less you plan to retire on the more you are going to be at risk. You can’t predict the future. You don’t know what will happen to markets or the economy. Any withdrawal rate over 2% increases risk. I think you need to factor in historic inflation rates as well. Inflation might be low at the moment but could easily creep back up. Personally I’m not sure why accumulation $1 mil is such a big deal. Accumulating $1 million isn’t tough if you have 30 years: even in a 25% brack taxable account at 6%, you can get there by depositing $14k/yr and increasing it by 1% each year. That’s $538 per biweekly paycheck. It’s much tougher, however, when time is not on your side. If you’re aiming for 20 years and starting from zero, you’ll need to save $28k/yr and increase it by 1% each year. Still doable on the median annual income of $48k, but just barely for most individuals. Having immigrated several times I know its not as easy as people often assume. There are simply not a lot of countries waiting with open arms for older folks with declining incomes and no family. Interesting discussion regarding the later stages of life and the balance between having enough money for those years and enjoying life leading up to that time. Personally I’m choosing to live more in the healthy now and if I need to pay someone to change my diaper in the later years then I don’t want to be around. @Executioner, I’ve raised the same question with Jacob. I enjoy his blog and think he has a lot to offer but have likened his choices and approach to those in the Ernie Zelinski book – Real Success Without a Real Job. I retired 2 years ago at age 45. For me, it was some key pieces of the puzzle falling into place in 2007 and 2008 which enabled me to do this. (1) Finding an affordable individual HI policy. However, the premium for this policy has risen by 50% in 2 years, so if that continues I will end up paying $2,000 a MONTH before I become eligible for Medicare. (2) Waiting for the value of my (former) company stock shares to hit the $300k mark. That was how much I wanted to take with me (before taxes) when I left and liquidated it. (3) Finding a bond fund which gave me a somewhat higher rate of return than the usual bond fund with high-rated bonds but did not include an inordinate amount of added risk from slightly lower rated (not junk) bonds. I was able to find one in 2005 and carefully tracked it for 3 years before I left and invested the proceeds from (2) above into it. I was already debt-free since 1998. I am single and childfree, the latter a huge reason I was able to retire at age 45 two years ago. My financial plan included a considerable buffer, or surplus, of dividend income over expenses. This would provide me with added security should some unforseen expenses arise during the year. Also, I expect my expenses (currently at $22k per year) to rise more quickly than my income, so that surplus will likely become a deficit (not a huge one) in about 10 years. This assumes that HI won’t cost me $24k a year at some point before I am eligible for Medicare. My main challenge is to make it to age 60 intact financially because that is when I can tap into the first of my “reinforcements.” Those include access to my IRA which has $300k right now and can grow (double?) in the next 13 years, followed by access to SS and my frozen pension a few years later. So as long as my taxable accounts can keep me well afloat for the next 13 years I will be fine. Great post, Jacob. Once again, your fortitude is a little more than mine..
An alternative for a young fella like myself to retire soon is semi-retirement. Working part time at an enjoyable, stress-free job while living a modest lifestyle is doable if you have enough investments in treasury bonds, dividend stocks, etc. to fund your lifestyle. Ever read “Work Less, Live More”? May I ask what type of HI you got and how much it costs? I assume it’s a high-deductible plan with an HSA. I’m 38 and am targeting FIRE at 45 similar to you, maybe a little sooner if things work out. Carlos, I found the plan on ehealthinsurance.com. It is not a high-deductible plan but it is not a very comprehensive plan as far as what it covers, either. No HSA because most of the premiums are tax-deductible on Schedule A anyway. My auto/home insurance company does not offer HI in my state (New York). I can’t seem to find a high-deductible plan in NY. I was paying $470 a month in 2009 but it will rise to $694 a month in 2011. My spreadsheet did not project 20-25% annual increases in HI. It did not account for Obamacare. Carlos and degee, I too am a New Yorker. Unfortunately the state provides very few options for individual Health Insurance and they are expensive. Why an effort to lower health care costs didn’t include allowing competition across state lines for insurance is ridiculous. degee, curious, what bond fund did you end up going with? Btbw2380, the bond fund I found is Fidelity’s Focused High Income Fund which invests mainly in B, BB, and BBB rated bonds. Those are corporate bonds which are at or slightly below investment grade. The risk is lower than that of a more typical junk bond fund which invests mainly in even lower rated (or unrated) bonds, but the yield is higher than that of a bond fund which invests in higher rated (A, AA, AAA) bonds. I notice that all the people who talk about wanting to just die when they get old, sick or disabled are young healthy and able bodied. I think there is a reason for that. When the rubber meets the road, I think you all will change your minds and so should plan for that in your finances instead of avoiding it. I have been very close to death, very sick on and off a lot of my life and have a physical disabillity, but you would be hard pressed to find someone who loves life more. The increased medical expenses are the only thing that has really been avoided on these kind of blogs because people, for good reason, are overwhelmed by the staggering cost in the USA. So, knowing I want to ERE because I may not live that long, or at least don’t want to take life for granted, or that I may even be forced to ER, I have thought about this. plan or not. It isn’t that I agree with the way healthcare is in this country. Actually, I think it is terrible, the whole insurance system makes us no longer direct consumers and so allows them to circumvent a fair market value system. So, that is why I think it costs so much. I think however, you don’t have much choice in the matter except trying to save what you can for those later years, knowing you may have to have uncle sam help you in this broken system, but putting that off for as long as possible without giving up all your good years to pay for it is the wisest best effort you can make. Early retirement is achievable with good savings habit and regular investing of the savings. Ultimately, the retirement age is determined by one’s daily living expenses. If one is able to live on $20 a day, then he can retire earlier than someone who spends $200 a day. In “extreme” early retirement, you will NOT be eligible for Medicare or Medicaid–quite rightly, you HAVE to use your own net worth before the government foots the bill. Good luck making it on $10,000 a year when you’re spending $3,000 on the cheapest high-deductible plan available under ACA. (Yep, the cheapest plans so far approved are around $250 per month–starting in 2014, that’s all you can get.) And that’s with you still paying 40% of any medical bill you get. So you have, what, $5,400 for housing, and $1000 for food, and now you have $600 left for transportation and EVERYTHING else, including those copays and deductibles. Yeah, that’s a great life. Last year I quit my job at the age of 44 with a savings of $250,000. I moved to Thailand and am living a wonderfully relaxing life spending about $1250 a month. I have a small apartment, good group of friends and incredibly inexpensive, delicious Thai food. To boot, you can get good health care at affordable rates in many of the big cities in the country. If things really get bad economically, I could always teach. Granted living abroad is not for everybody, but retiring on the cheap is possible if you don’t mind doing so. There is no way in Hades I could live in my home country on that kind of money. Early Retirement? You should have NO debt. I have made a liberal monthly budget of all of the bills x 3% inflation over time. I have emergency cash spending for the unexpected, vehicle, furnace, etc. I have lived within my budget for 6-8 months.